You are here: Home Should I transfer stocks into my TFSA? Should I transfer stocks into my TFSA? 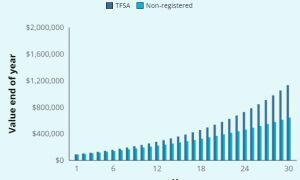 I don’t know if you have covered this anywhere in your blog but I’ve got a question about transferring shares from non-registered account to a TFSA account. I’m not sure I’ll have $5500 cash to invest into my TFSA as of January 2018 (as I have maxed out all my RRSP contribution room). 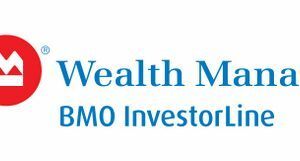 I have shares in BNS, BMO, RY and others and I’m thinking of transferring $5500 worth of shares into my TFSA. Will it trigger a capital gain (if I sell)? If so, is that reportable to CRA? What about calculating the adjusted cost base? I didn’t always keep track but it is doable. Second thought, I need to warn you I’m not a professional tax accountant or an investment guru. This means the information that follows is not professional advice but rather my DIY perspective on things. Third, let’s tackle those questions! Like everything in life – it depends! What I mean is, it depends on your financial plan, goals and tax strategies that you want to employ. Personally, I’m a fan of maximizing all registered accounts first (tax free = TFSA; tax deferred such as RRSP; tax deferred such as RESP, if you have kids) BEFORE non-registered investing. The reason is – why pay tax today when you can let assets grow, defer tax, or in some cases keep Mr. Taxman away in the future? Other reading: What should your financial plan cover? That said, I actually didn’t follow my own advice many years ago. A decade ago, I opened (and still retain) a non-registered investing account. This is where some of my Canadian dividend paying stocks are held. However over the years I’ve maxed all contribution room with my TFSA and RRSP; and there is only some room left with my wife’s RRSP now – so all our registered accounts should be maxed out in the coming year or so. Anyhow – back to you, I believe anytime you have an opportunity to maximize contributions to your TFSA in any year, you should. The TFSA is a gift of an account for all adult Canadians to use. 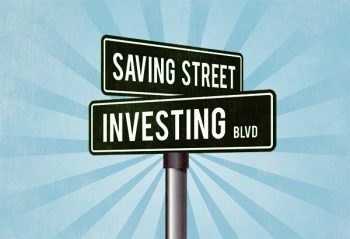 This account can be for short-term saving street or long-term investing boulevard! Where you get the money (or assets) for your TFSA contribution every year is up to you. For the most part, if you have non-registered assets like the Canadian bank stocks you mentioned (disclosure – I own some of these stocks as well) then you should be able to transfer those stocks “in-kind” from your non-registered investment account to your self-directed TFSA account at your brokerage. Consider “in-kind” like “as-is”. Just call your brokerage up and tell them you want to transfer shares “in-kind” to your TFSA. Nothing else is really needed – they will take care of it. The transaction time is typically about three business days for all assets to “settle” inside the TFSA after you make the call. Will it trigger a capital gain (if you sell)? If so, is that reportable to the CRA (Canada Revenue Agency)? It might and yes are my answers. Again, I’m not a tax professional but I’ve done what you are considering in the past. In my situation, I sold a non-registered asset and triggered a tiny capital gain in the process. I reported that gain to the CRA in that tax year. If your investment when sold triggers a capital gain (i.e., you sold an asset for more than you paid for it), then a percentage of tax must be paid in the year that gain occurred. That gain is added to your regular income in that tax year. If you want to keep the shares you own (and not sell them for cash), then I believe transferring shares “in-kind” in the manner I mentioned above is the way to go. When you transfer shares to your TFSA the CRA considers this a “deemed disposition”. You technically sold the assets at market value for your TFSA contribution. This means your TFSA contribution amount is the market value at the time of transfer. For tax purposes, you have effectively disposed of the shares so any capital gain is taxable to you. If however, you have a loss on the shares in your non-registered account before making the “in-kind” transfer then the capital loss is not deductible. Use savings to invest in eligible investment vehicles (like stocks) and the capital gains and other investment income earned in your TFSA will not be taxed, even when withdrawn. Hooray!! TFSA contributions are not deductible from income for tax purposes. a) If your non-registered investment is in a gain position, making an ‘in-kind’ transfer directly into your TFSA will trigger a ‘disposition’. You’ll pay tax in the year of the transfer on 50% of the gains but then the asset will be inside your tax-free TFSA going forward. b) If your non-registered investment is in a loss position, making an ‘in-kind’ transfer directly into your TFSA, you will lose the loss. Regarding the loss position, in order to claim the capital loss you would need to sell your stock(s) outside the TFSA first (no “in-kind” transfer). Then a superficial loss rule kicks in. This rule prevents investors from selling a stock to claim a loss and then buying it back right away. The rule means if you sell a stock outside of the TFSA and buy it back within 30-days, the loss will be denied. Read more on CRA here. Calculating your adjusted cost base can be a pain so I typically refer people to this free software tool to do it (no affiliation). On my end, I keep few spreadsheets up to date on this for my non-registered account. To keep things easy, I’ve also turned off all DRIPs (Dividend Reinvestment Plans) in my non-registered account so I don’t have to deal with the adjusted cost base calculations any longer. I have my market value and my base cost documented for about a dozen stocks. If/when I sell any of these non-registered assets, the calculation will be very straightforward on the CRA tax forms. I can’t tell you the correct decision to make on this but I hope this post highlighted some considerations related to transferring stocks into a TFSA. Good luck with your decision and thanks for reading. 4 Responses to "Should I transfer stocks into my TFSA?" For us older folks who have to withdraw funds from a RRIF, I always transfer the max allowable of shares In Kind to the TFSA. The funds are being taxed regardless, but it allows us to get some stocks that are generating a nice return and growing into the TFSA. Seems smart to use funds you don’t need, from RRIF, to RRSP. Tax free dividend income will be very valuable in the years ahead! !